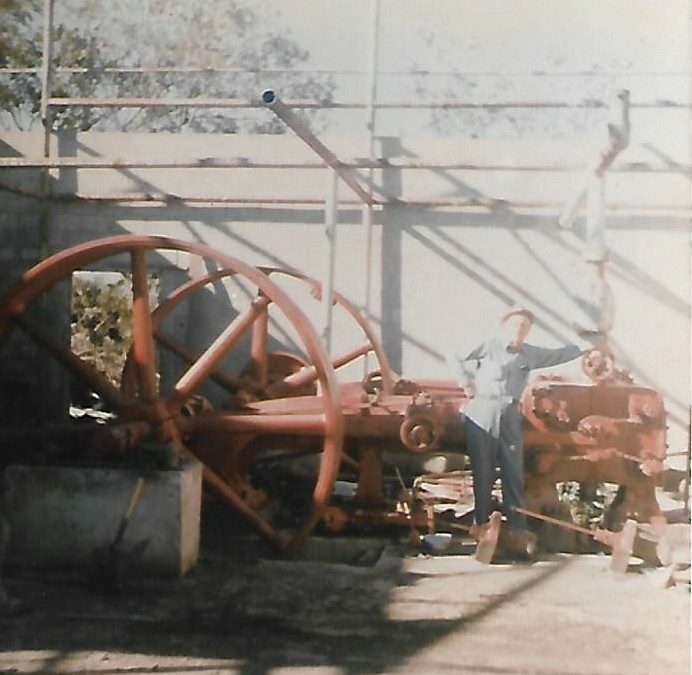 “The Steam Engine was bought by Will Pagett of the Prairie Lee Community in about 1889. 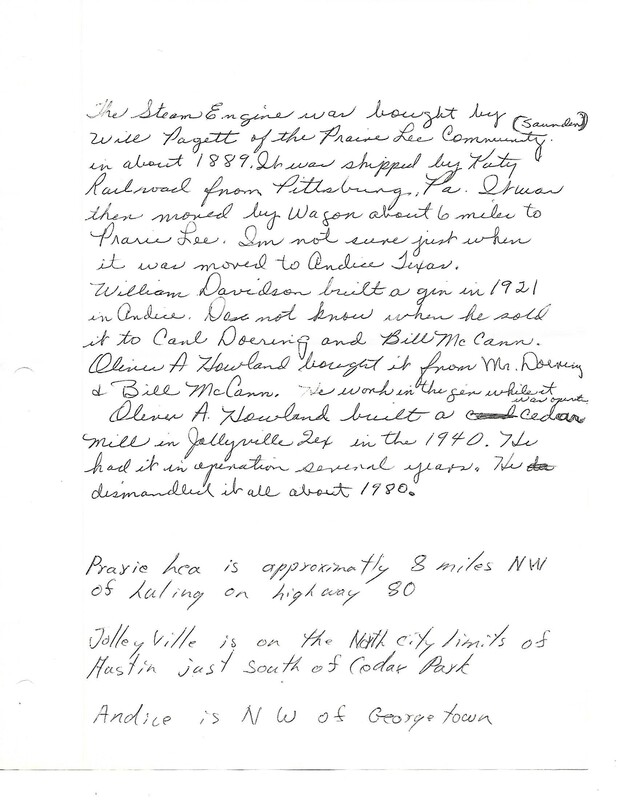 It was shipped by Katy Railroad from Pittsburg, Pa. It was then moved by wagon about 6 miles to Prairie Lee. I’m not quite sure just when it was moved to Andice, Texas. There are a lot of people putting a ton of effort into making this show grow again. Make your plans now to support these good people! 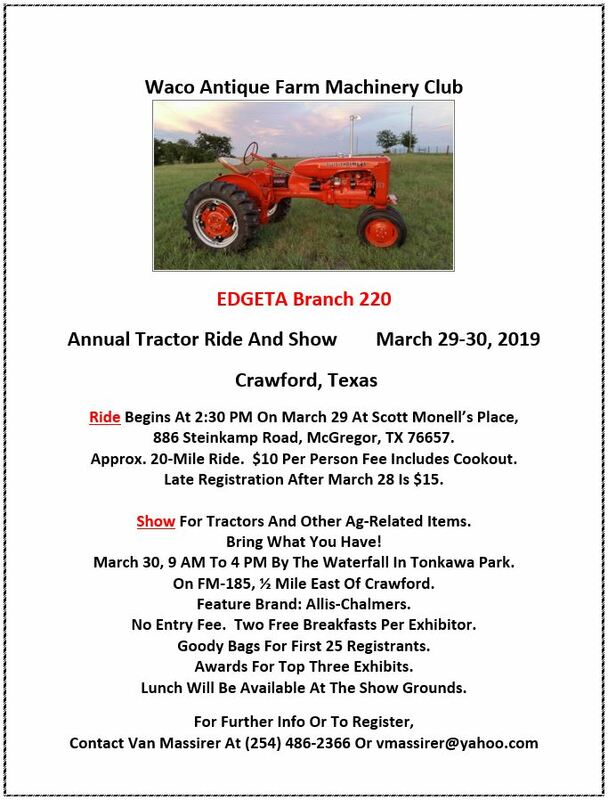 Our good friends at the Waco Antique Farm Machinery Club are preparing for their Annual Tractor Ride and Show. The ride is one of the best in the area. The feature brand is Allis-Chalmers! Same as the TEDTEA show this year! Contact Van Massirer for more info! Workday on Saturday! Planning on working in the pavilion re-arranging some things. Bring work gloves! If things dry out enough we will work on the sheet metal on the old barn on the new property. There are a couple things that still need to be finished. Thanks for a amazing show! A huge thank you to everyone who came out and made the 47th Annual State Show a huge success! Even with the rain we had impressive numbers of visitors and exhibitors. Excuse us while we take a break for a few weeks to unwind and spend some time with friends and family. We are already making plans for the coming year so keep a eye on the webpage and facebook for updates in the coming weeks! Click on directions in the map below, or use 1717 Eberhardt Road, Temple Texas in your favorite map app! Lone Star Ag Credit returns as a sponsor! Those great people at Lone Star Ag Credit have returned to support the show for another year! We know they are great because they helped TEDTEA with our land purchase two years ago!